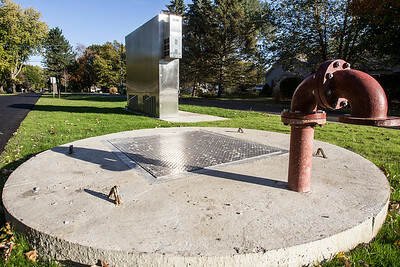 Sarah Nader - snader@shawmedia.com A view of a large electric box and concrete sewer pads Monday, Oct. 24, 2016 that the Village of Lakewood installed in the median along Broadway and Oxford in Crystal Lake. 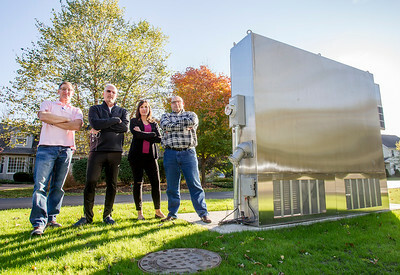 Sarah Nader - snader@shawmedia.com Neighbors Tony Loessl (left), Derrek Rauchenberger, Kirsten Kershaw and Nick Backe stand next to a large electric box and two concrete sewer pads Monday, Oct. 24, 2016 that the Village of Lakewood installed in the median along Broadway and Oxford in Crystal Lake. The neighbors are trying to get Lakewood to rectify the problem. 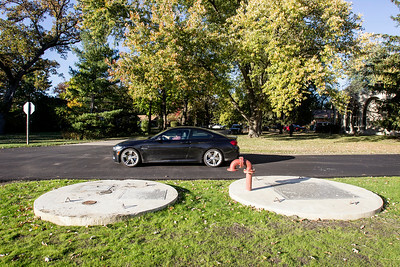 Sarah Nader - snader@shawmedia.com A view of two concrete sewer pads Monday, Oct. 24, 2016 that the Village of Lakewood installed in the median along Broadway and Oxford in Crystal Lake. They also installed a large electric box. Sarah Nader - snader@shawmedia.com Nick Backe of Crystal Lake stands next to a large electric box and two concrete sewer pads Monday, Oct. 24, 2016 that the Village of Lakewood installed in the median along Broadway and Oxford in Crystal Lake. Area residents are trying to get Lakewood to rectify the unsightly problem problem. 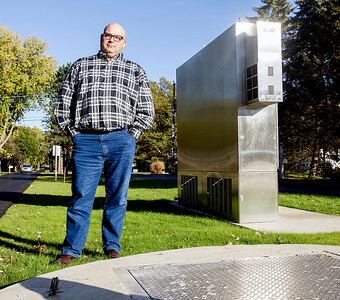 Neighbors Tony Loessl (left), Derrek Rauchenberger, Kirsten Kershaw and Nick Backe stand next to a large electric box and two concrete sewer pads Monday, Oct. 24, 2016 that the Village of Lakewood installed in the median along Broadway and Oxford in Crystal Lake. The neighbors are trying to get Lakewood to rectify the problem.